Community gardens play a major role in our mission to provide access to good nutritious food. They bring fresh produce directly to participants and allow for educational opportunities in horticulture and food cultivation. They have the potential to unite communities and transform neighborhoods. It doesn’t take much more to understand why starting community gardens is one of our three primary methods for creating good food access. The garden in Dutton Island was the first project undertaken by Dig Local in August 2011 and established in January 2012. The property and project was done in partnership with Beaches Habitat for Humanity. We believe the garden will nurture a sense of community within the Donner area and set aside space for the cultivation of homegrown produce. More than just a few plots, The DIG Project will provide educational opportunities for participants and community members alike. The DIG Project aspires to be a refuge in an area with limited access to agricultural education, nutritious food, and outdoor activities. 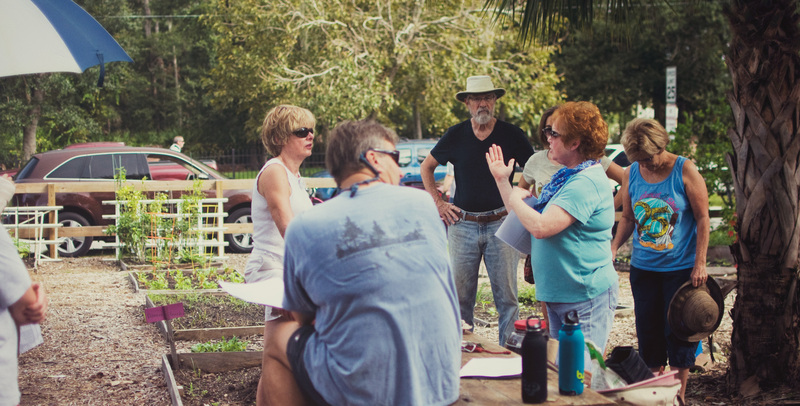 Located in Jarboe Park in Neptune Beach, Beaches Community Garden serves as a place where individuals, families and groups can rent plots for a small fee in order to grow organic vegetables, herbs, and other edibles. The garden also serves the community through educational programs and workshops, publications, demonstration native plant gardens, a children’s garden, and guided garden tours. Apply to join a community garden today.